Kennel cough. Just a cold? ​ GET $200 OFF ADOPTION FEE! ​Max is observant and laid back. Max will be low to no shedding. He has been raised with small children and will make the perfect family dogs! ​Please contact me if you need long distance delivery, fees do apply. We will have summer petite and mini goldendoodles available! Doodles and More is home to the Mini and Petite Mini Goldendoodle. We are located in SW Washington State. We offer wonderful family companions, therapy pets and More! Shipping is available. 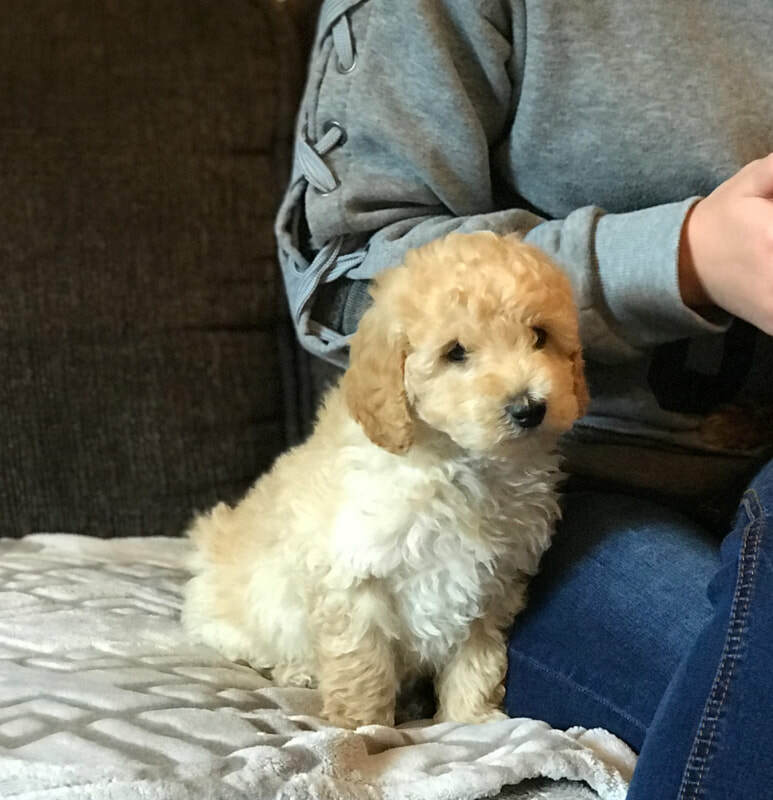 ​Petite Goldendoodles, mini goldendoodle Breeder Oregon, Miniature Goldendoodle puppies for sale Washington state, California mini and petite Goldendoodle puppies, Bay area goldendoodle puppies for sale, San Diego goldendoodle puppies for sale, Los Angeles goldendoodle puppies for sale, San Francisco goldendoodle puppies for sale, Santa Cruz goldendoodle puppies for sale, San Rafael goldendoodle puppies for sale , Santa Rosa goldendoodle puppies for sale, goldendoodle puppies for sale Santa Barbara, Santa Ana goldendoodle puppies for sale, San Bernardino, Sacramento, Oregon, Idaho goldendoodle puppies for sale, Nevada goldendoodle puppies for sale , Las Vegas goldendoodle puppies for sale, Reno, Florida, Palm Springs, Miami, Pensacola, Panama City, Tallahassee, St. Petersburg, Fort Lauderdale, Daytona Beach, Jacksonville, Arizona goldendoodle puppies for sale, Phoenix, Florida, Texas ....and More!